Hello everyone! I am excited to share one of the make and take projects at my upcoming New Catalog Open House. Isn't it pretty? My open house is open to anyone who would love to come and have fun being creative. It also includes easy make and takes, new product display, a chance to win one of the great door prizes, yummy food, friendship and more!! 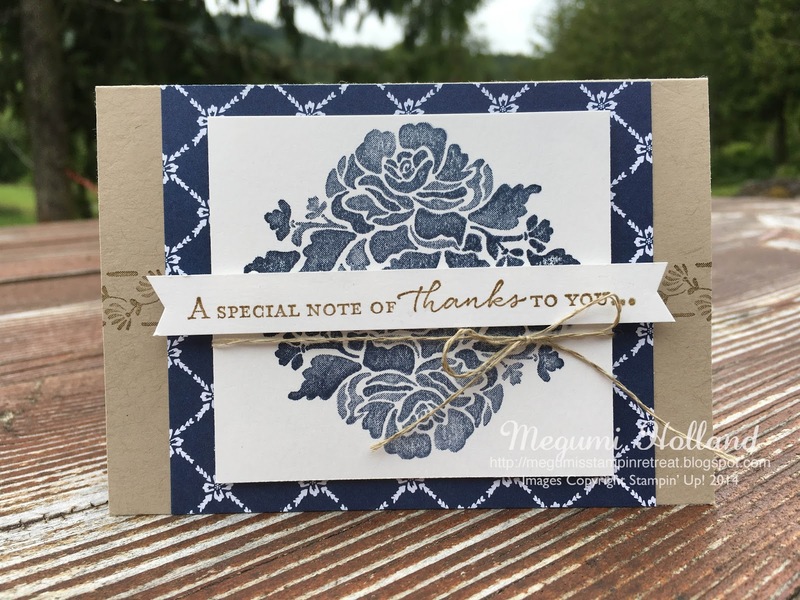 If you are in the neighborhood of Sequim, Port Angeles, Port Townsend or other wonderful places on the Olympic Peninsula and would like to come, please RSVP using the Online Registration (click HERE) so that I can prepare your make and take kit in advance. So come and get inspired for your next projects!!! 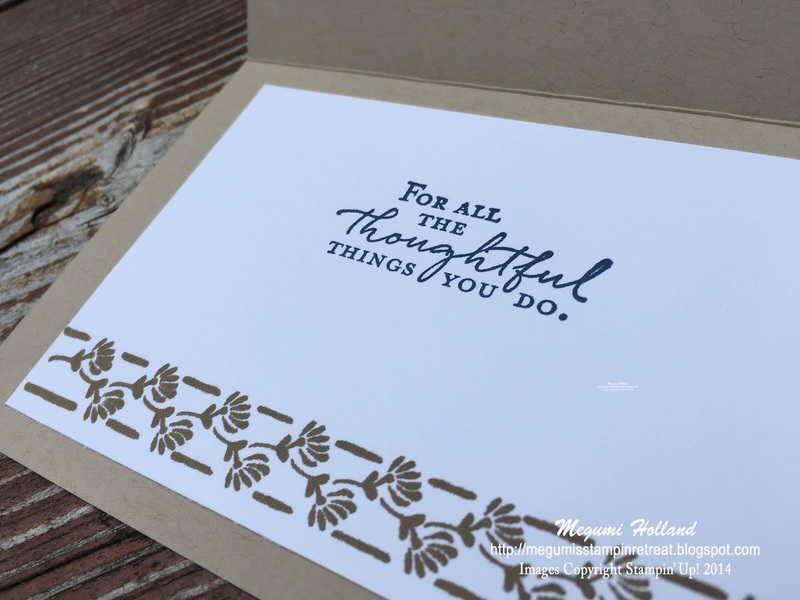 The Floral Phrases Stamp Set is one of my favorite products in the new catalog. When I saw Pam Morgan's demonstration on the Mediterranean Cruise last month, I immediately fell in love with it. The stamp set offers simplicity and elegance in exquisite sentiments and images; perfect for wedding, congratulations, and thank you cards. 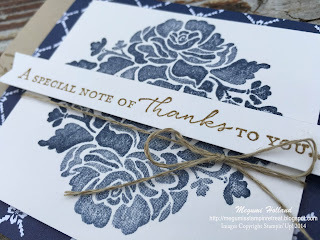 It coordinates with the Detailed Floral Thinlits Dies and they are available as a bundle (BUNDLE AND SAVE!!!). 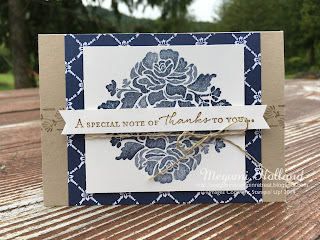 Can't you believe Stampin' Up! 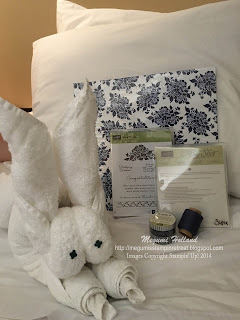 gave us the complete Floral Boutique Collection products as one of the pillow gifts on the cruise? Lucky us!! !